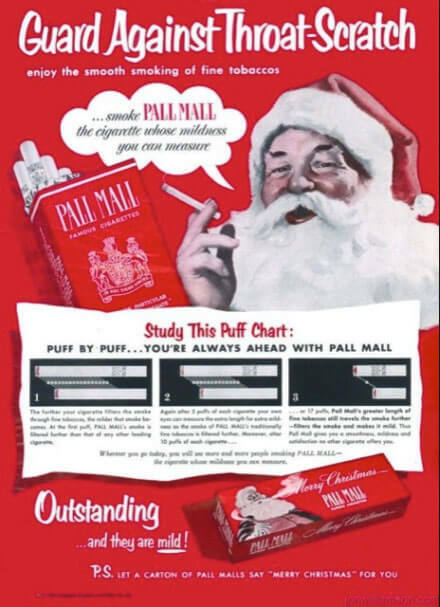 I know many companies need to make a good chunk of their profits during the holiday season, but these vintage holiday ads were a bit…misguided. 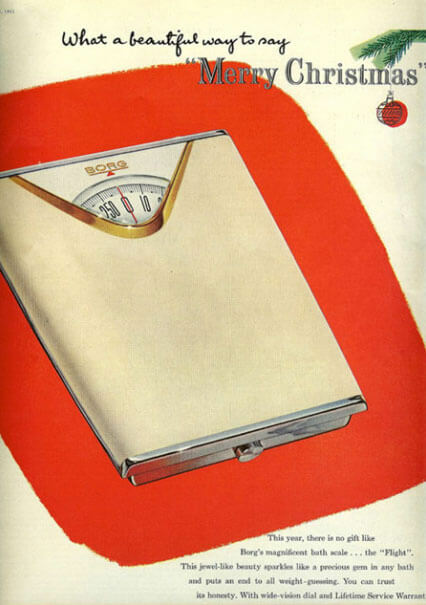 Don’t give anyone a scale for Christmas. Ever. Period. 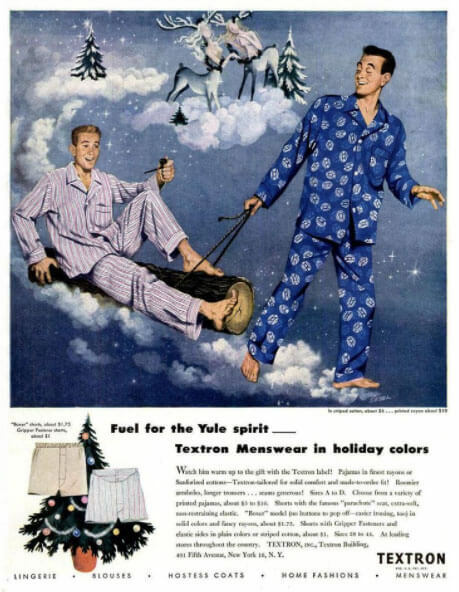 It’s great that the company was forward-thinking enough to feature a gay couple in their ad, but in what universe does one barefoot man pull another barefoot man on a log with a rope in the snow-clouds? 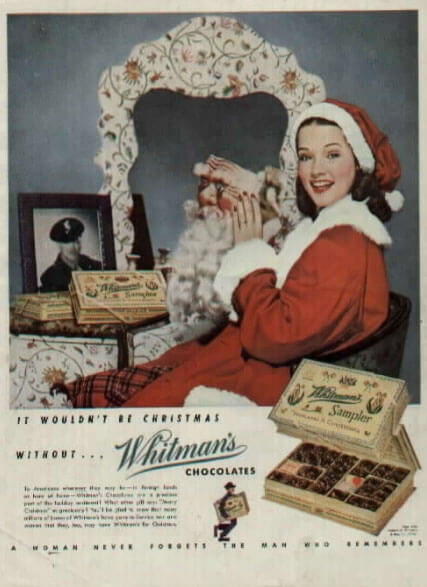 And were log-sleds ever a thing? Of course not. Logs aren’t aerodynamic. And who brings their pipe with them to sled in the sky? Also, someone needs to cover up the Reinmaids in the background. If you’re going to create a mythical snow creature, at the very least give them a nice puffy jacket or some fur. Colt. 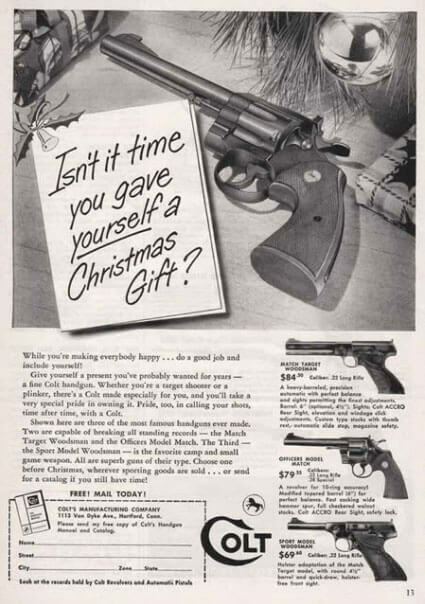 Because nothing says “Merry Christmas, me!” like a handgun. Is she blind? 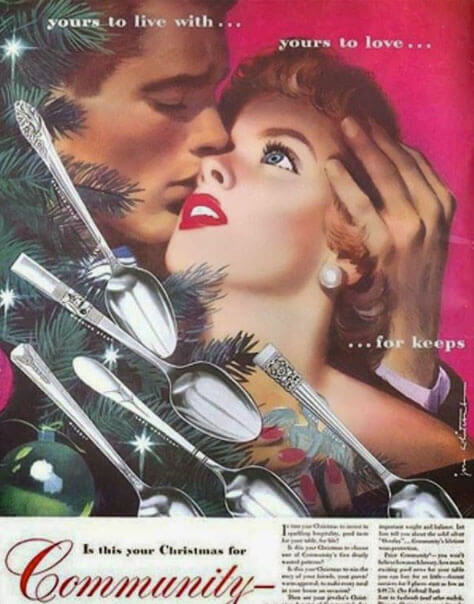 Does she know he just decorated her tree with spoons? Why do spoons turn him on so much? And why is he kissing her right nostril? 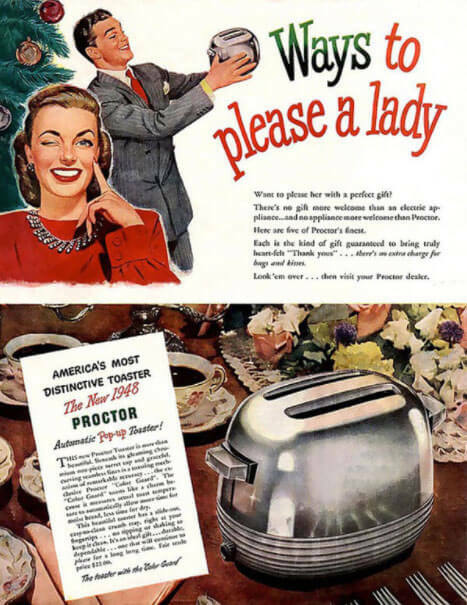 I have a lot of questions for the Community Silverplate Company. 1. 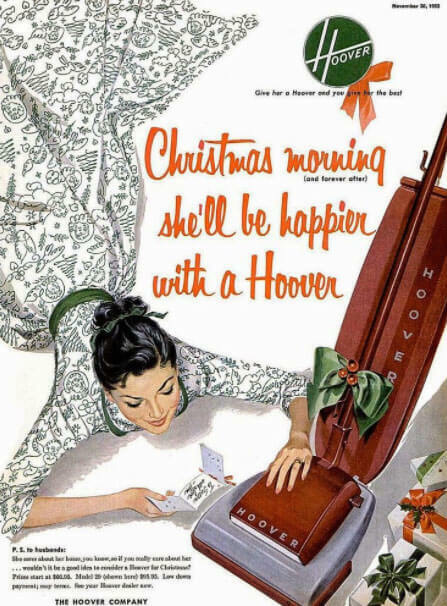 Don’t give her a scale, a vacuum or a toaster for Christmas. 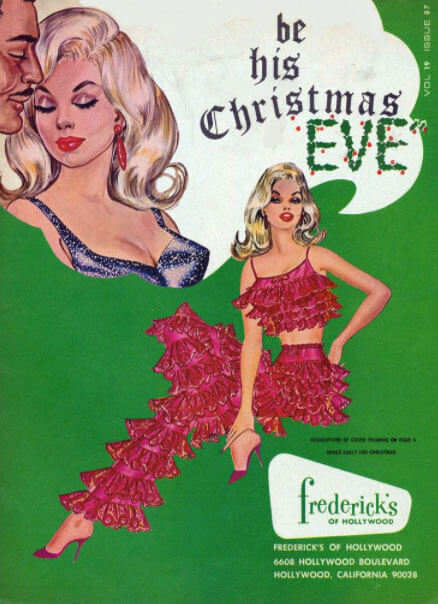 I’m all for holiday jollity and I may get some pushback on this one, but I strongly believe that women shouldn’t dress as trees. Don’t @ me. 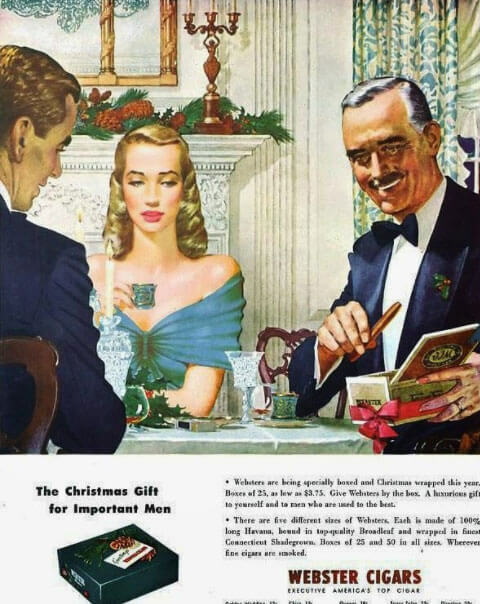 I hope this holiday ad primer has helped you learn what not to do this holiday season. Here’s wishing you a happy, healthy and vacuum-free holiday from all of us at Fish Marketing!